In 2014, Rumpl’s founders were miles from civilization, stranded in sub-zero temperatures on a dirt road near a secret hot spring. With no reception and an impossibly long walk to the nearest town, they bundled up in their sleeping bags and drank whiskey. An idea struck them and Rumpl now delivers high-performance coziness around the world. 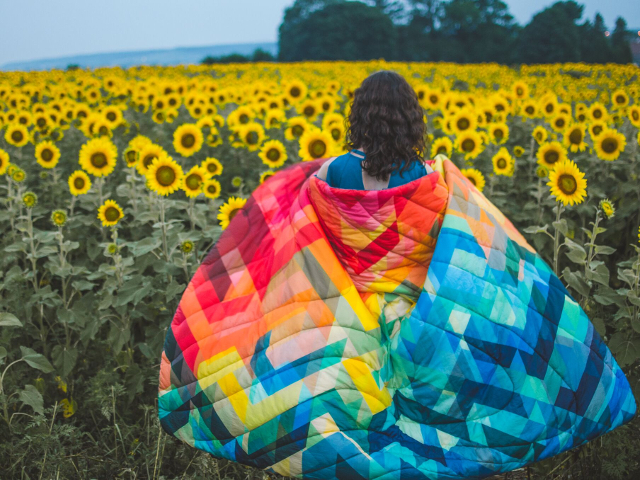 Their mission is to create blankets that use modern, performance materials, blurring the line between indoor comfort and outdoor performance. They make high-quality, versatile blankets that keep you and your loved ones comfortable anywhere you go, or when you don’t go anywhere. Newlyweds love their 2-Person styles, wink wink.